More than four decades have passed since the US fought a major war in Vietnam from 1965 to 1973 to stop the country from uniting under communist leadership. That war cost the lives of about 2.5 million people in Vietnam, Laos and Cambodia, plus fallen US soldiers, and it left deep scars on the three Southeast Asian countries, where the US not only dropped several times the number of bombs used in all of World War II but also sprayed 19 million gallons of the chemical defoliant Agent Orange, exposing millions to a toxic weed killer that causes genetic deformities and permanently poisons the land on which it falls. The US mission nonetheless failed, and the US' puppet South Vietnamese government fell in 1975 as the country reunited under the communist government in Hanoi. Radio Sputnik's Loud & Clear spoke with Paul Cox, a Vietnam veteran and a member of Veterans for Peace, who focuses on advocating for compensation for victims of Agent Orange, and Marjorie Cohn, professor emerita at Thomas Jefferson School of Law and the former president of the National Lawyers Guild, about Mattis' visit to Vietnam and the legacy of Agent Orange in the socialist country. ​Cox called Mattis' trip "the next step in [the US] finally stepping up in involving itself in trying to mitigate, to some degree, problems left over by the spraying of 19 million gallons of herbicides over one-eighth of South Vietnam, parts of southern Laos and eastern Cambodia over a 10-year period: ‘61 to ‘71," during which time about 3 million Vietnamese and thousands of US and allied soldiers were exposed to Agent Orange. He noted that for many years, the US government denied there was a problem and later also "denied responsibility for the environmental damage and the damage to people's health in Vietnam and in the US with US veterans." Then in 2012, an agreement was reached between the US Agency for International Development and the Vietnamese government to begin the cleanup of Danang Airport. That project was completed about a year ago at the cost of $110 million, PBS reported. 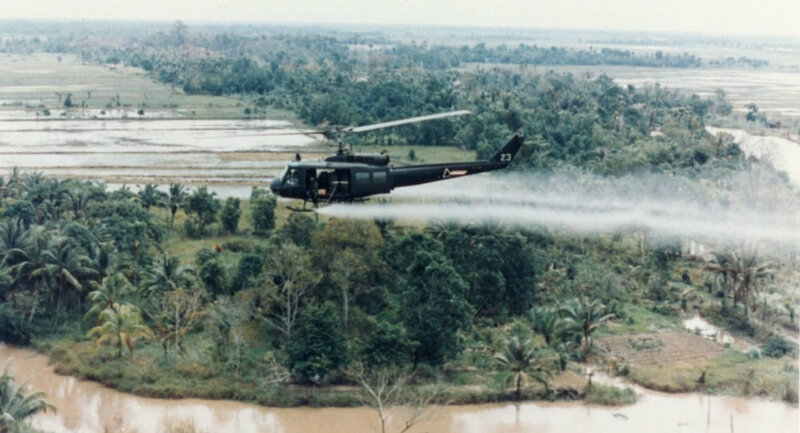 The aim of spraying the chemical, produced by Dow Chemical and Monsanto, along with dozens of other companies, was to defoliate the jungles around important bases and along roads, eliminating the ability of National Liberation Front insurgents and North Vietnamese Army soldiers to ambush US and South Vietnamese soldiers and to hide their men and equipment. Cox noted that in 1965, Dow held a conference of all the Agent Orange-manufacturing companies regarding their findings about health problems caused by exposure to dioxin, a major component of the chemical that Cohn called "one of the most dangerous chemicals known to humankind," but ultimately concluded that they were indifferent to its effects on humans or the environment, and pressed ahead with its manufacture. Cohn noted the use of dioxin only stopped when the results of this study were leaked. Then in August 2018, a California court ordered Monsanto to pay a man dying of cancer close to $290 million after finding that the company's weed killer Roundup gave him the disease. Vietnam's Foreign Ministry soon followed up with a renewed demand for payment by Monsanto and other producers of Agent Orange for the damages caused by the chemical to their country, Sputnik reported. Cohn noted that the US wants to have a good relationship with Vietnam, and thus Mattis is "spotlighting the US commitment to clean up the Bien Hoa Air Base, which was made during the Obama administration." Aside from Danang and Bien Hoa, "there are 26 other hot spots around Vietnam which have been poisoned." 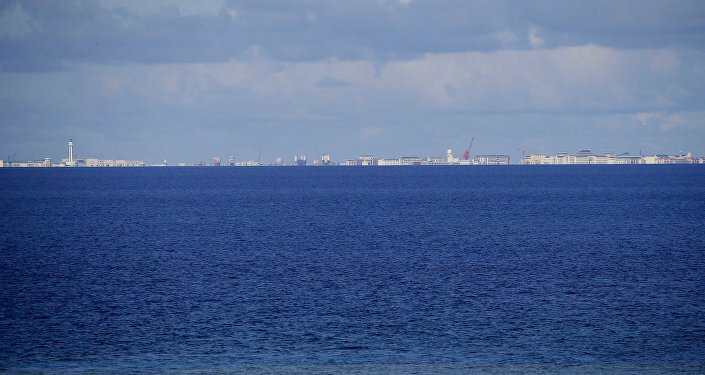 The Bien Hoa project is projected to take 10 years and cost $390 million, Al Jazeera reported. 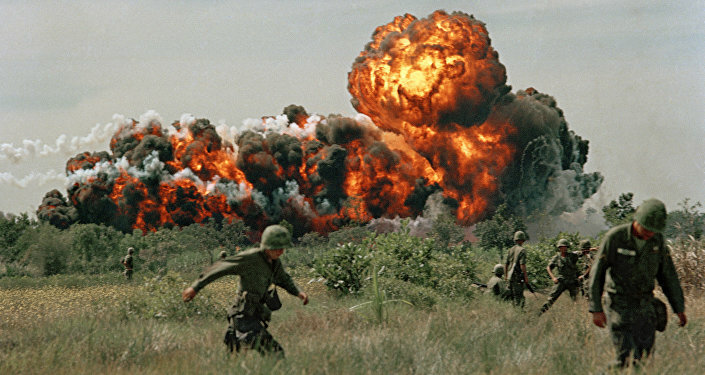 Cohn noted that in the 1973 Paris Peace Accords, which formally ended the war between the US and Vietnam, the Richard Nixon administration promised the Vietnamese $3 billion in compensation and postwar reconstruction costs. "That promise remains unfulfilled," she said. Both Vietnamese and American people exposed to Agent Orange continue to give birth to babies with birth defects and experience exotic forms of cancer. While the US government has provided medical benefits to soldiers exposed to dioxin who display the effects of that exposure, "the US government does not recognize the Vietnamese, and the US government, while it's going to clean up Danang and Bien Hoa, is not going to give a nickel's worth of compensation to the 4.8 million Vietnamese who were exposed and have health problems," Cox said, noting that about 10 percent of those are children born years after the fact to parents who were exposed.